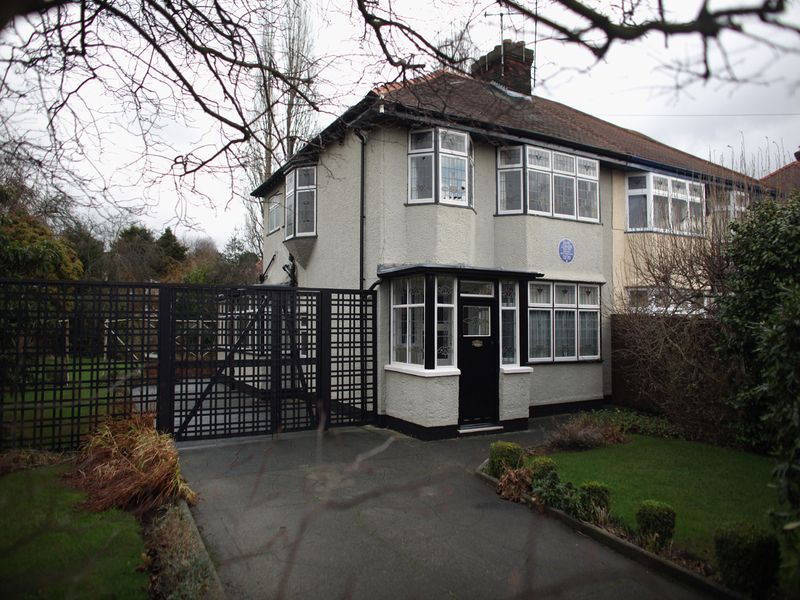 (CBS/AP) The childhood homes of former Beatles John Lennon and Paul McCartney will now have a place in history. The south Liverpool, England houses, where the pair wrote some of their early songs, will be preserved, the government said Wednesday. That means they cannot be altered without the permission of local officials. Lennon lived at a 1930s duplex house called "Mendips" at 251 Menlove Ave. from 1945 to 1963 with his aunt and uncle after his parents separated when he was five. McCartney lived in nearby Forthlin Road for nine years from 1955. The two musicians held early practice sessions for their first band The Quarrymen while living at these houses, and wrote the Beatles' first number one hit, the raucous "Please Please Me," at Lennon's home. In a statement Wednesday, Lennon's widow Yoko Ono said: "Mendips always meant a great deal to John and it was where his childhood dreams came true for himself and for the world." The English Heritage Foundation decided not to preserve the childhood homes of Beatles lead guitarist George Harrison and drummer Ringo Starr. Emily Gee at English Heritage said Lennon's and McCartney's homes had been preserved because "they were scenes of huge amounts of rehearsal, of composition of songs, really intense creative hubs." McCartney recently released a new album called "Kisses on the Bottom." Earlier this month, he received a star on the Hollywood Walk of Fame.